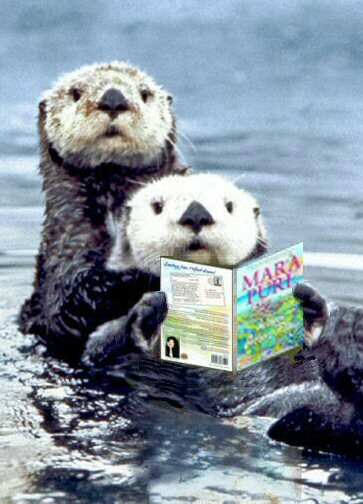 My latest book is When Otters Play, the next novella in the Milford-Haven saga. In honor of my “heart” series, I offer a special promotion each Valentine’s day. This year is particularly special because I’ve joined other Women’s Fiction authors to bring you a fabulous selection of books on sale for 99cents February 14th through February 20th. Click here to explore your next reads! http://www.tammylgrace.com/promotions/ From my heart to yours. The word PLAY loomed large in my childhood, as it should in the life of any child. Children may not yet know how to navigate the world though language, comparative analysis or diplomacy, but at play they are experts. I remember so clearly making castles of sand, or even of thin air, peopling them with fantastic characters, and inviting friends to join me in enacting elaborate storylines. Looking back, at first glance the dramatic role-playing seems cute, predictable, with some usefulness thrown in. How adorable that was, learning how to get along with others by taking turns playing the evil queen. But then I looked deeper, and began to realize what child-psychologists and observant parents have always known: there’s a purpose to all this play, a step-by-step building of personality and self-esteem, of balancing shyness and privacy with standing up for oneself while creating rapport and friendship. Some of these moments may shine down the years, and some friendships may last a lifetime. Sadly, some experiences may also create terrible scars on a soul that a person then tries either to overcome—or to exact revenge—decades later. In each, Miranda investigates a particular animal in the wild to prepare for completing some a painting or mural. I choose creatures from California’s gorgeous Central Coast where my series is set, and where Miranda loves to explore. One of the most iconic inhabitants of the region is the Southern Sea Otter, who truly is a coastal-critter, never wandering very far from shore, and living almost entirely within sight of humans—and who therefore themselves have humans in their sights daily. Tourists and residents alike see them, but what do we see? We see cute creatures evidently at play. They play with their food—banging scallop shells to crack them open, for example. They play with their mates—rising up out of the water to collide, or rolling together in the branches of their native kelp beds. They play with their young, and their young are constantly at play, exploring their world as precious bundles of glistening fur, wide-eyed and curious, adorably awkward, mischievous and fascinating. Perhaps part of their appeal is that they have some almost-human qualities: sweet, symmetrical faces, and articulated paws, the closest thing to hands possessed by any creature in the sea. But just as is the case with we humans, the sea otters have an overwhelming and demanding purpose to their play: to survive. Unlike all other sea mammals, the sea otter has no blubber to keep it warm, so it must constantly groom, as any oil or debris trapped in its pelt reduces the capacity to provide that shield of warmth. To keep up with their constant expenditure of energy, they must eat almost constantly. So when they’re not eating, they’re foraging. Diving to the bottom, they gather shellfish, among other delicacies, and tuck them into the folds of skin below their arms which form handy pockets. As my protagonist discovers, in 1938 the environmentalist Margaret Owings discovered a small group of otters living in the mouth of Bixby Creek in Big Sur. It is thought that today’s population of southern sea otters all come from that small group, protected by Friends of the Sea Otter, there now exists a solid, if not yet robust population. But into what context did these inventive creatures reappear? When I first began reading up on the current state of the sea otter, to my surprise, I found all kinds of conflicting reports. Some articles talked about how the otters were damaging fisheries and should be removed from the area, while some claimed the otters were actually saving the coastline. I didn’t see how both these arguments could hold water, as it were. Then I read about an attempt by the US Fish & Wildlife Service to establish a colony of otters on San Nicholas Island—off the coast of Santa Barbara—in the hopes that if there were a devastating oil spill along the coast, the new population would continue to thrive and sea otters wouldn’t be wiped out completely. Because this new population was closer to lucrative fishing grounds in the Santa Barbara area, USFWS, responding to pressure from commercial fishermen, established a “No Otter Zone” from which the otters would be removed if found there. Was it possible otters would happily settle in their new home and abandon the habits of centuries? And whom did this project benefit? Some said the oil companies, with a string of valuable offshore rigs nearby, wanted them moved for their own protection in the event of a spill. Some said the military, with a key base on the area, wanted them moved to prevent obstruction of vessels. It became clear that the weeks I’d set aside for research might not be sufficient to the task before I could begin writing. Little did I know at the time that the research would extend for three years, involve scores of interviews, and give me the chance to work both with the director of the sea otter rescue program at the Monterey Bay Aquarium as well as with the Department of Fish and wildlife who monitor the wild population. And here’s something more I discovered about the otters’ “play” and how it fits like a perfect puzzle piece in the local ecology. A particular favorite in their diet is urchin. And here’s one of nature’s brilliant full-circle designs. Kelp forests form the home for sea otters and many other species along the coastlines. Urchins attach themselves to the holdfasts—the root system—of the kelp stipes, or branches. Unless the urchin are kept in check, they can destroy an entire kelp forest more quickly than one might think possible. Enter the sea otter, who plucks the urchin away from holdfasts for a tasty snack, thus saving its own and its fellow coastal dwellers’ home. There is, however, more than just cuteness and play where sea otters are concerned. They’re serious about capturing their food, and underwater footage shows how efficiently they can use their claws to dig out their prey. And when it comes to protecting their young, they can be every bit as vicious as any mammal in the wild. This side of their nature is made evident in my story (spoiler alert) so don’t be taken in by the adorable faces on the cover and read my novella to your child. This is not a children’s book, but a tale for adult readers. So, yes, the word “play” is as deceptively simple and as richly complex for otters as it is for humans. You might say otters, with their obvious intelligence and cleverness, really know how to use their heads. But what will endear them to you when you read my story is how they reveal their hearts. When you visit Milford-Haven, I hope you’ll enjoy exploring our fellow coastal inhabitants, and find out how much is at stake . . . When Otters Play.